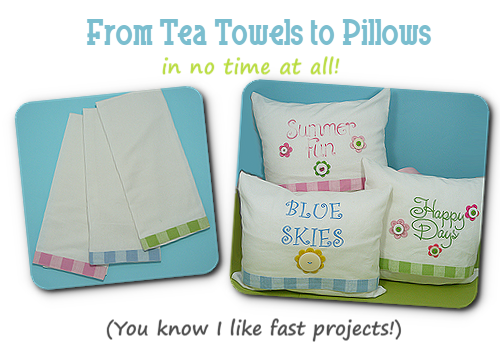 and don't forget to pick up your vintage gingham trim dishtowels here! There are NO LIMITS on this project--you can use your creativity and really go nuts, or just copy what Kimberly did! I like the way she used the variegated thread in the lettering shown above---it really changes the whole look of the wording! 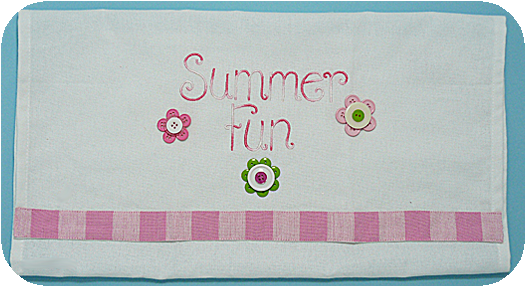 Enjoy your gardens and the fresh air and the sounds of Spring--but take a few minutes to enjoy your sewing machine too! 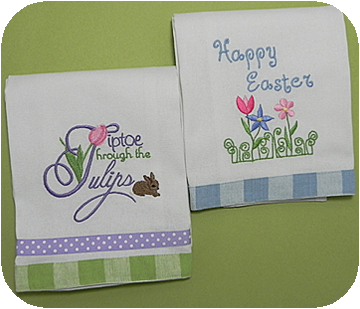 Love the stitched tea towels, very cute designs. Terrific project and so little time!!! Susan, you are a genius. I love all your beautiful and practical ideas Susan.